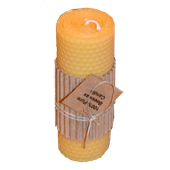 We offer tapers and pillar size rolled pure beeswax candles. 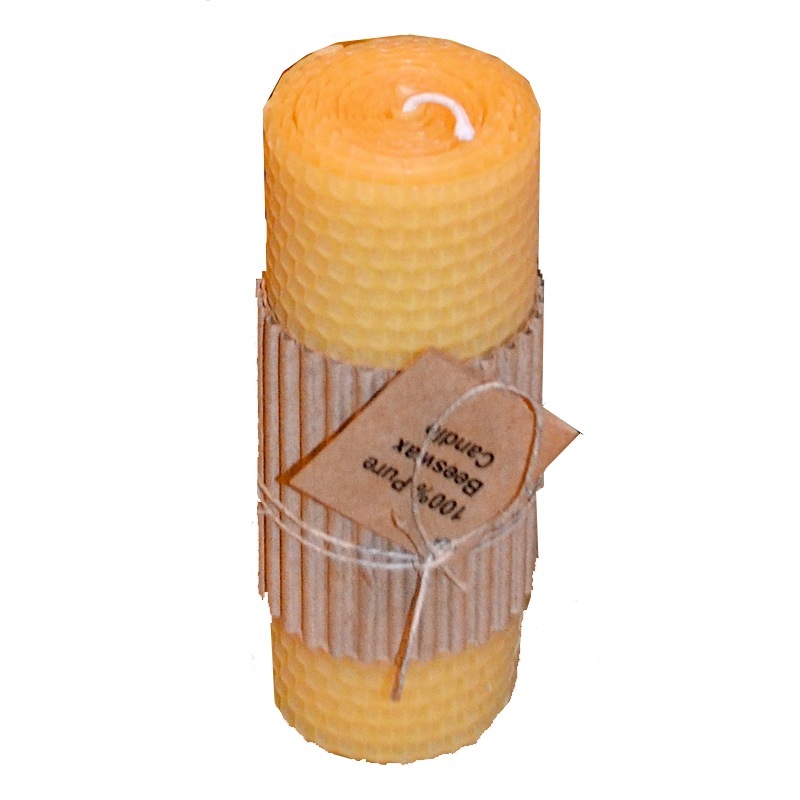 Sheets of 100% pure beeswax foundation wax are slightly heated and rolled around a 100% cotton square braid wick. The colored sheets of wax use only natural colorings. 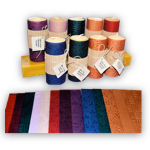 We offer honeycomb, smooth, floral and basketweave patterned sheets in a rainbow of colors. 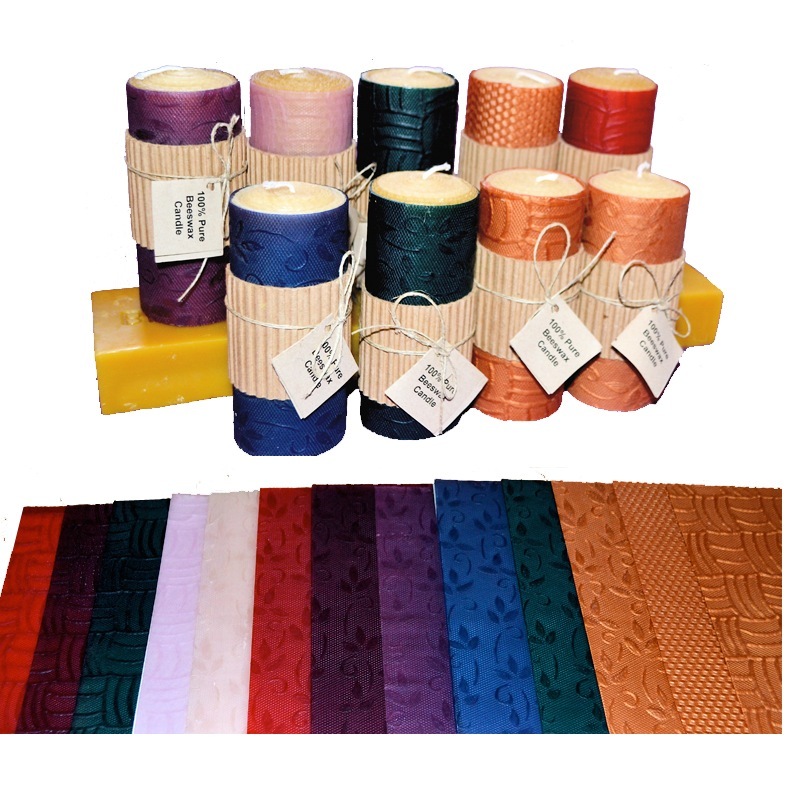 These candles are hand rolled with foundation sheets and then wrapped with a smooth sheet of wax. One uniquely beautiful option is to select a colored inside with a clear white sheet of pure beeswax wrapping the candle. You get to customize your taper to your own preference. The candles are sold in pairs and will burn approximately 6 hours each. 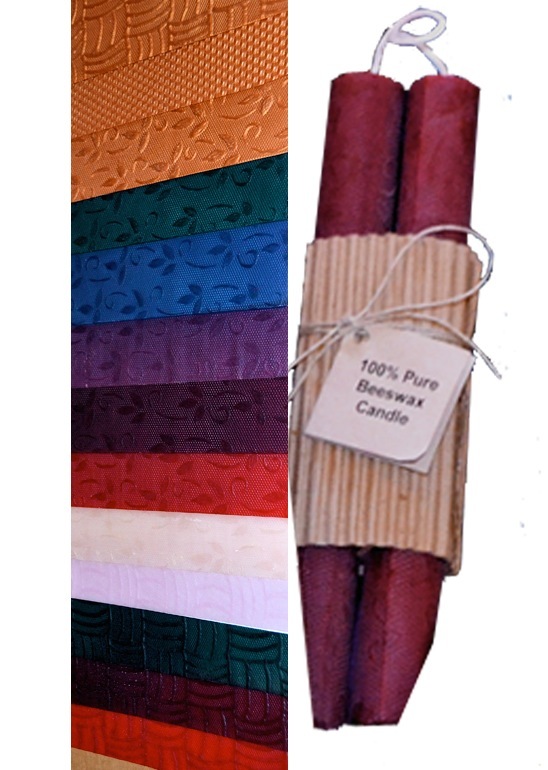 These pillars are made from 100% pure natural beeswax with no added scents or colors. They are available three styles; honeycomb, Sedona dirt and smooth wrapped. The honeycomb pillar will burn approximately 19 hours and the wrapped beeswax pillar 23 hours. 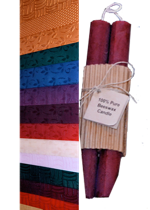 These pillars are made from 100% pure natural beeswax with no added scents or colors. They are available three styles; honeycomb, Sedona dirt and smooth wrapped. The honeycomb pillar will burn approximately 32 hours and the wrapped beeswax pillar 36 hours. These candles are hand rolled with foundation sheets and then wrapped with a designer sheet of wax. You can customize your taper to your own preference. We have two heights and several wrapper options. The inside color of all these candles is natural. The candles will burn approximately 28 for the 5 1/2” and 36 for the 8 1/2” tall candle.